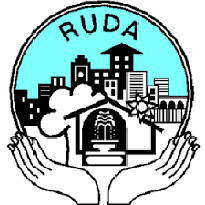 Rajkot Urban Development Authority (RUDA), Rajkot Published Recruitment Notification for Housing Finance and Policy Specialist Posts. Qualification : Graduate / Post Graduate in Finance Subject or Equivalent Qualification from Recognised University. Send Application to This Address : Rajkot Urban Development Authority, Shri Chimanbhai Patel Vikas Bhavan, Post Box No. 238, Jamnagar Road, Rajkot.